Canada’s luxury real estate market is attracting the attention of high-end auction houses, eager to provide a fast sale for multimillion dollar homeowners struggling to sell in the conventional way. And Alberta’s depressed housing market, paired with a landscape rich in custom-built megamansions, is already proving successful under the gavel. “Calgary is a significant market for us because of its boom and bust cycle,” says Murray Lange, Alberta business development officer for Florida-based Concierge Auctions. “During the boom times, people spend an exorbitant amount of money building big, customized, luxury properties, now we’re in a more normalized market those homes aren’t selling. Concierge Auctions have sold more luxury real estate in Canada than any other auction house with 12 sales since November, 2013; eight of those sales have been in Alberta, with an average selling price of $2.4-million. “Typically, properties we sell are upwards of $2-million and they’re unique in some way, which means the buyer pool is shallower,” says Mr. Lange, who sold his own home – a mansion in Southwest Calgary – via Concierge Auctions in June, 2016. Mr. Lange signed a deal to auction off his home to the highest bidder and, after a two-week marketing campaign, four bidders registered to compete for the home which sold for $2.5-million; it had previously been listed for $3.3-million. It’s a familiar story; in February this year, a custom-built estate home in Canmore – appraised at more than $4-million and on the market for more than three years – sold at auction for $2.4-million. Most recently, in June, a sprawling six-bedroom inner-city Calgary penthouse – previously listed for $2.325-million – sold at auction for $1.3-million. Trayor Lesnock, founder of Florida-based Platinum Luxury Auctions, one of North America’s biggest auction houses, says the vast majority of auction sales come only after all other methods have been exhausted. “Less than 5 per cent of our sellers bring their home to auction as a first option. The majority have checked all the other boxes first before they arrive at an auction because auctions generally drive more demanding terms in order to make it work,” he says. Earlier this month, Platinum Luxury Auctions embarked on a joint venture with the only auction house founded and based in Canada, Garage Sale. 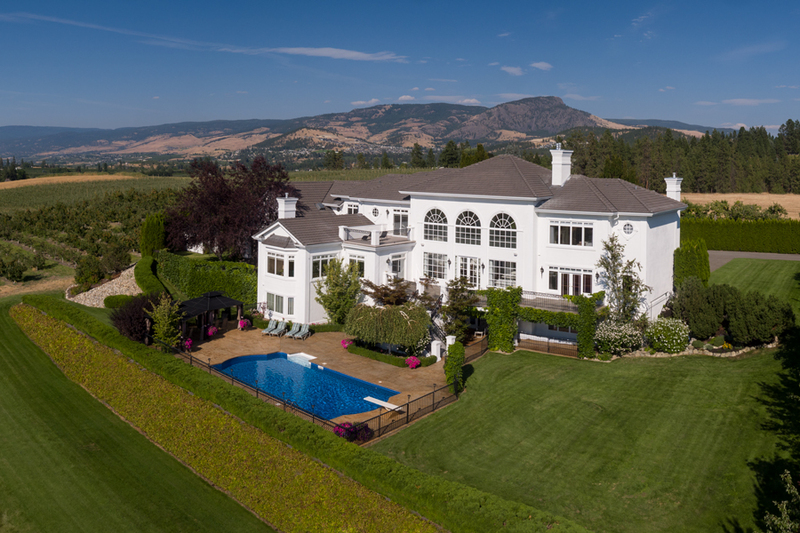 The partnership, which is expected to result in the acquisition of Garage Sale by Platinum Luxury Auctions, was launched with the joint sale of a sprawling, 15-acre Okanagan estate on October 5. The home had been on the market for 15 years. A six week marketing campaign produced 198 enquiries, 102 showings, seven bidders and, ultimately, a sale price of $3.3-million. The sale is Platinum Luxury Auctions’ second venture into the Canadian market; their first was an estate sale in Thousand Islands, Ont., a year ago, which established an all-time-high resale price for the area. The home had been listed at $22.9-million and sold at auction for $7-million. The sale confirmed to Mr. Lesnock that the luxury real estate market in Canada was viable and spurred his search for a business partnership. “We knew that to break into Canada would require more operating bandwidth, so acquiring Garage Sale is a great fit. We plan to do a lot more business in Canada and we’ll be taking Garage Sale’s direction on where we focus our efforts,” he says. Alex Lambert, founder of Garage Sale, says Alberta is a top priority for the newly partnered companies. Since 2014, Garage Sale has sold five properties in the Okanagan and on Pender Island, including the recent estate sale with Platinum Luxury Auctions, but Mr. Lesnock says he doesn’t believe that’s where their next auction will come from. For Mr. Lambert, Alberta’s landscape makes most sense. Meanwhile, Mr. Lange says that while Alberta, and in particular Calgary, remains a key market for Concierge Auctions, they’re also focusing on expanding their presence into more buoyant markets like Toronto and Vancouver. KELOWNA, British Columbia, Oct. 10, 2017 /CNW/ — Seven registered bidders gathered on the site of a luxury home in Kelowna, British Columbia on the evening of October 5th in order to vie for the chance to become its new owner. Following a brief charity auction to warm up the bidding audience – which happened to raise more than C$20,000 for the Kelowna General Hospital Foundation – the 14-acre, lake view estate was sold for approximately C$3.3 million. Although the home was listed at a promotional price of C$6.5 million as part of the auction’s marketing program, the property actually had an extensive listing history of more than 15 years, being placed on-and-off the market since 2001. The final listing price during that period expired at C$3.995 million. The picturesque, three-story residence sits upon 14.5 acres, and offers more than 10,000 sf of living area, with 5 bedrooms, 5 full and one half bath. Prominent features of the property include a grand salon with soaring, 22-ft ceilings, a large terrace overlooking a salt-water pool, gourmet kitchen with professional-grade appliances, wine cellar, gentleman’s study and a billiards room finished in Honduran mahogany. The property’s acreage includes orchards currently planted for Gala apples, but is also suitable for wine grapes and cherries. “The alliance of our firms has produced results that we’re excited to share with the rest of the Canadian market, and to hopefully deliver to future luxury property sellers in those areas,” said Trayor Lesnock, founder and president of Platinum. Lesnock added that the two auction firms have entered into a strategic alliance with the goal of expanding operations throughout Canada’s luxury property markets. A historic estate in Redding, Connecticut, previously listed for $5.5 million, will hit the auction block with a reserve price of $1.25 million next week. The 24-acre property features a main residence with six bedrooms and five full and two half bathrooms, the listing shows. The 6,300-square-foot mansion includes large and open rooms, wide-plank hardwood floors, charming bedrooms, central heating and cooling, six fireplaces and a kitchen. 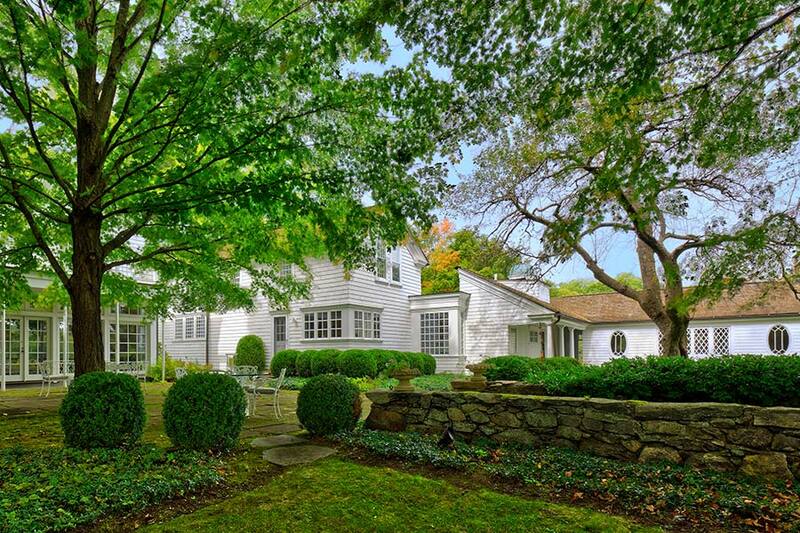 Built in 1768, the estate was restored in 1902 by famed New York by architect Noble Foster Hoggson, who specialized in building banks, according to the listing. Property records show current owner Janice Meehan and her husband Matthew bought this place in 2006 for $3.1 million. “Our kids have grown up and we travel a lot … It’s time to turn this place to another family,” Ms. Meehan said. The estate was on the market for $5.5 million in May of 2014 but failed to sell. After several price cuts, the property was relisted for $2.995 million in February this year, according to Zillow. According to Ms. Meehan, her husband built a heated 8,000-square-foot two-story barn after they moved in. The barn was built to residential standards in order to house a car collection but can also be converted to an equestrian facility or a guest house. The couple also added a heated pool and a pool house with a covered, outdoor dining area, too. The historic property has been upgraded to 21st-century standards by previous owners, but Noble Foster Hoggson’s architectural signature remains, including the wooden shake-shingle siding and roof, concrete and stone foundation and the wooden frame construction. The gardens designed by Hoggson features a reflecting pond and grapevine-covered arbors. The country estate will be auctioned off at the property on Oct. 28. Phone bidding will also be provided by Platinum Luxury Auctions, but a representative of the bidder has to be onsite, according to Trayor Lesnock, president of the auction company.